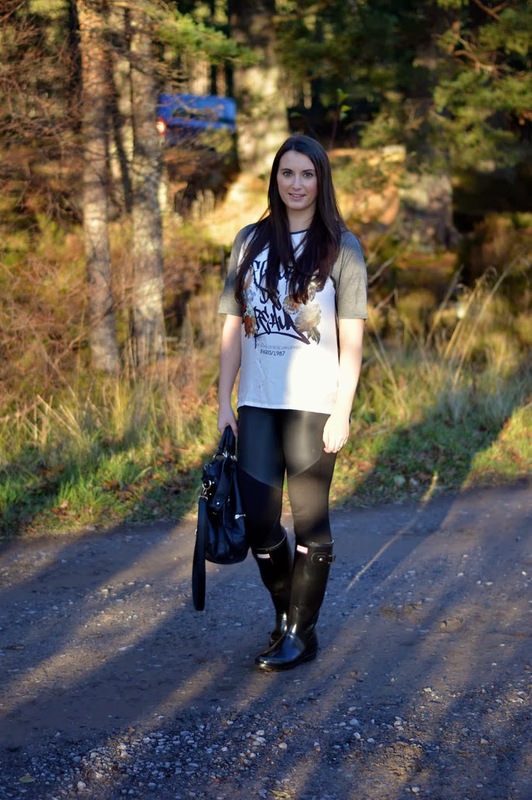 I recently ventured out of Glasgow and visited Aviemore in the Scottish Highlands, The Cairngorms to be exact! Snow had already fallen on the hills and it was the first weekend of ski season. I can't believe it is November already .. Where has the year gone! The temperature has really plunged this weekend and we woke up to a morning of frost. It won't be long till we get snowfall on the ground .. I can't wait! The leggins look amazing! Thought they would've been from somewhere like Topshop, might have to invest in these! Love those leggings. And you can't get much better for cold weather than Hunter boots! those fantastic leggings are now at the top of my "need" list. also, your hair looks so silky and gorgeous. Nice pants. I don't think I could pull off those rain boots but you sure can! This is a fantastic fall look! Those leggings with your Hunters are so fun. 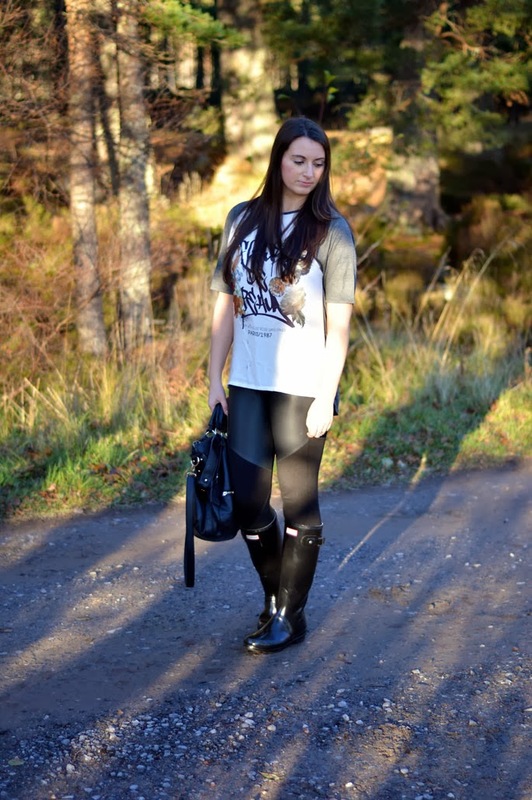 Nice look with hunter boots!